Peeking around the corners of the north valley, a luxury home stands out among other custom-built properties surrounding it. With more than 5,300 square feet of handcrafted and spacious living space, 9447 E. Covey Trail totals 7300 square feet under roof is a testament to personal luxury and customized craft. But beyond its elegant touches and personalized feel, one of the home’s most notable features is its expansive air conditioned garage and auto housing, big enough to host more than just the family SUV. 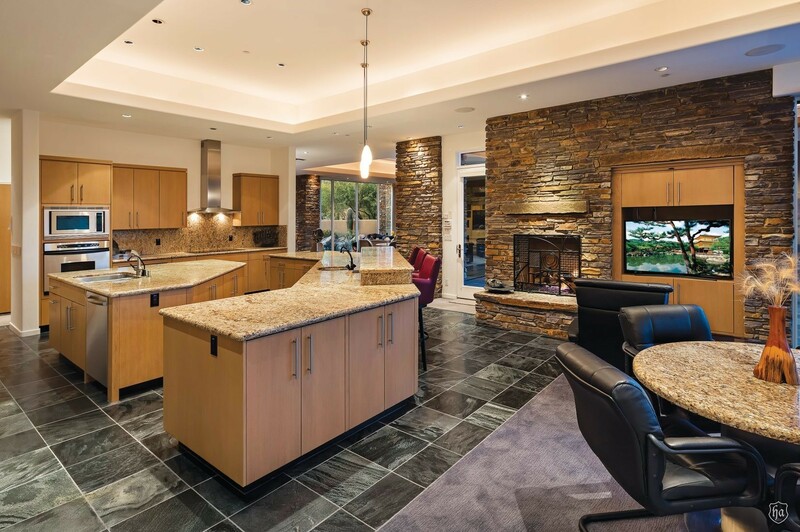 Currently on the market in the Desert Mountain Golf Club community, this home, which sits atop almost a full acre, comes complete with five ensuite bedrooms and plenty of room to entertain. 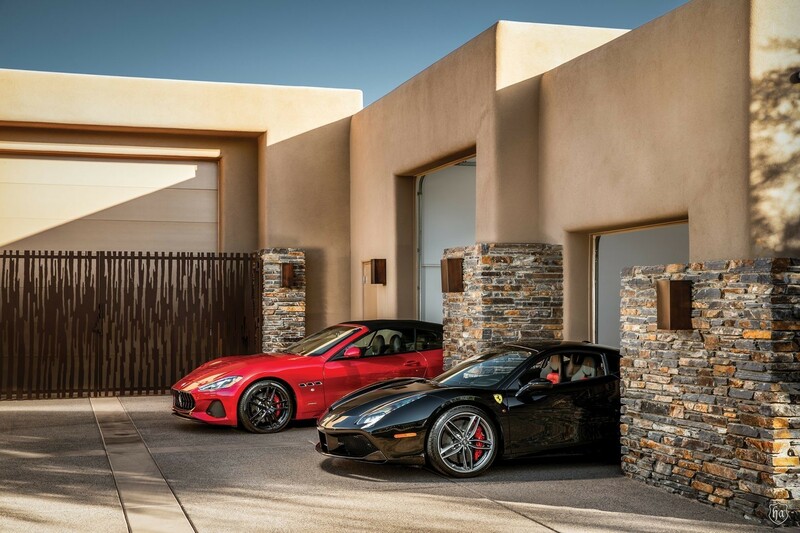 But the main draw for the home for car lovers looking to house a full lineup of autos is the more than 2,000 square feet of combined garage space. The first garage, an air conditioned unit clocking in at 1,000 square feet, formerly housed a $2,000,000 Prevost motor coach, an item just sold by the owners who have also opted to sell the home themselves. 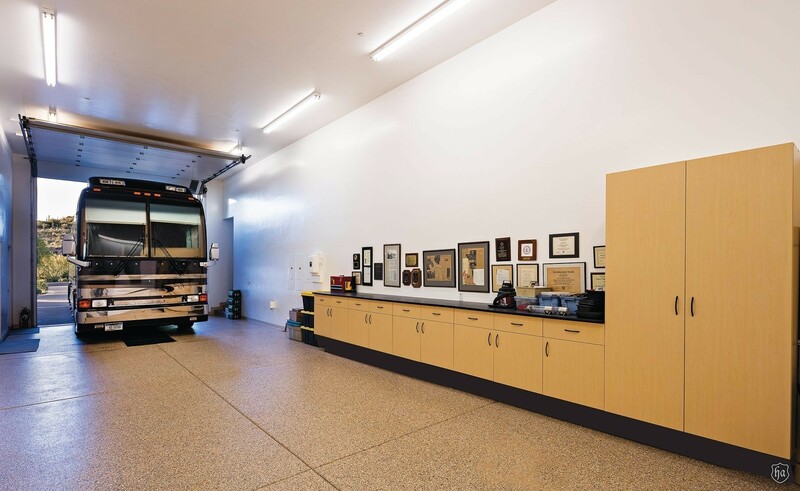 The motor coach garage, integral to the house, and something that no other house in the Desert Mountain area has, is a fitting home for the new owner’s motor coach. 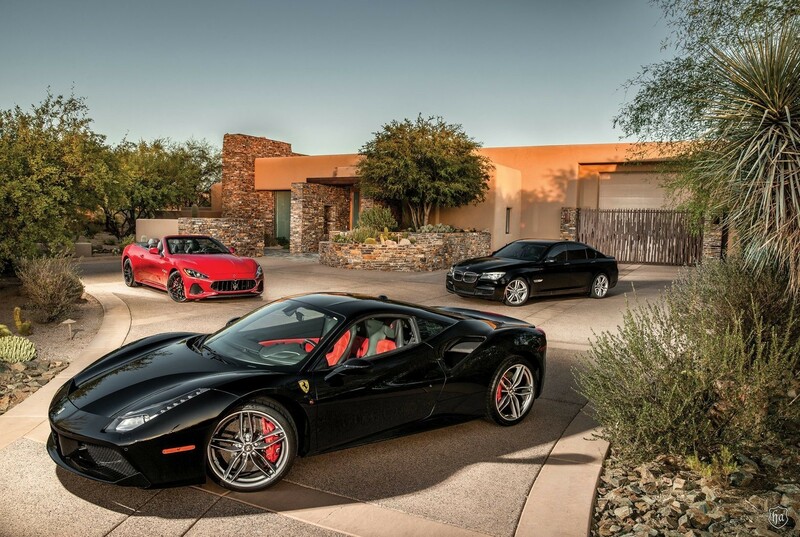 But, if not for a motor coach or a car collection, this space can also be used for a number of different options. Golf enthusiasts could have a driving range simulator. Have a passion for motorcycles? This space creates a chopper’s paradise. An artist could have a studio. 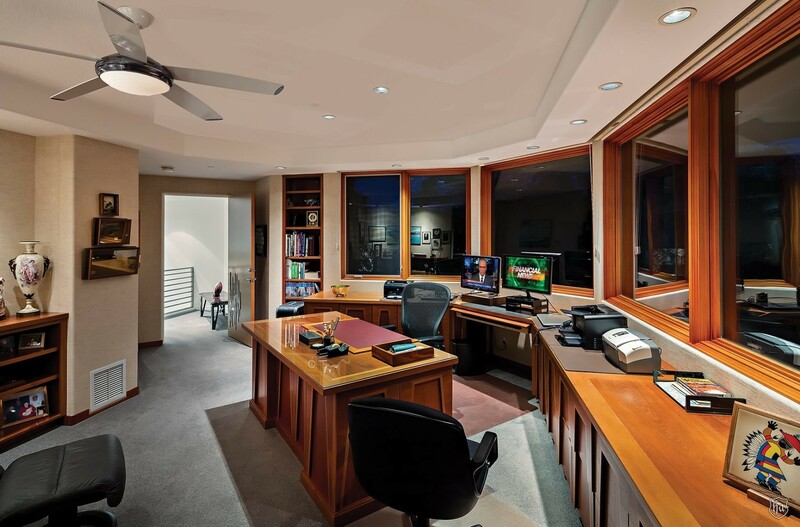 It could be a game room, a home theatre, a musicians’ venue. With this much air conditioned space, the opportunities for use are abundant. In the other garage, one of the two doors to the 1200 square feet of space is oversized. The new owner could put a Mercedes Sprinter Van conversion in a space or store more of his car collection. There is space for cars, an ATV or other toys. Beyond high ceilings and a huge door, the garages had to be built to withstand the weight and pressure of multiple vehicles or one giant motor coach, such as the previous unit that weighed in at over 50,000 pounds. The foundations clock in at 8-inch-thick reinforced steels and concrete, a 33 percent difference from the typical driveway. Renowned local architect Shelby Wilson was brought on board to design the home. 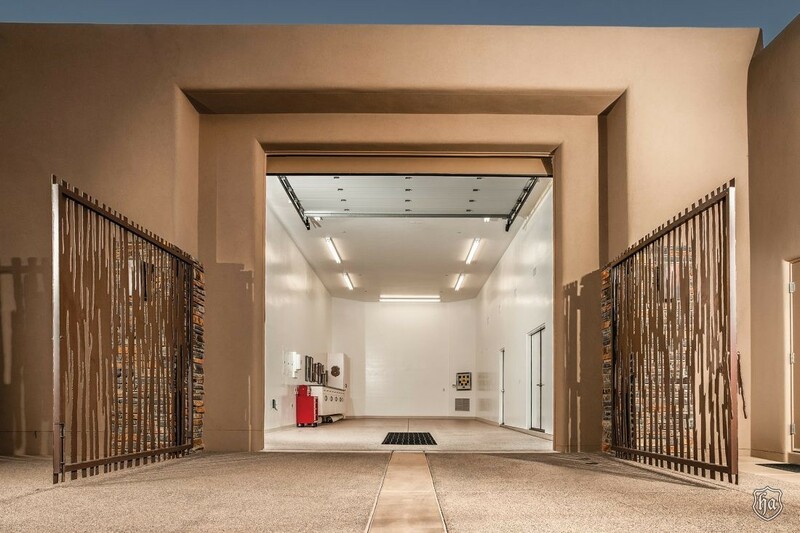 From the steel framing to the stone, Wilson added his own personal touch of artistry to the home, an etched-out plank of crisp Sonoran real estate that backs onto Desert Mountain golf greens. The house itself is a testament to attention to detail. A built-in pest control tube system installed under the house helps to keep pesky desert dwellers, like scorpions, out. The copper trim and quartzite flooring bring a dark richness to the overall texture. The home is also a marvel for the eyes outside as much as it is inside. Three separate patios offer personalized views for every occasion. 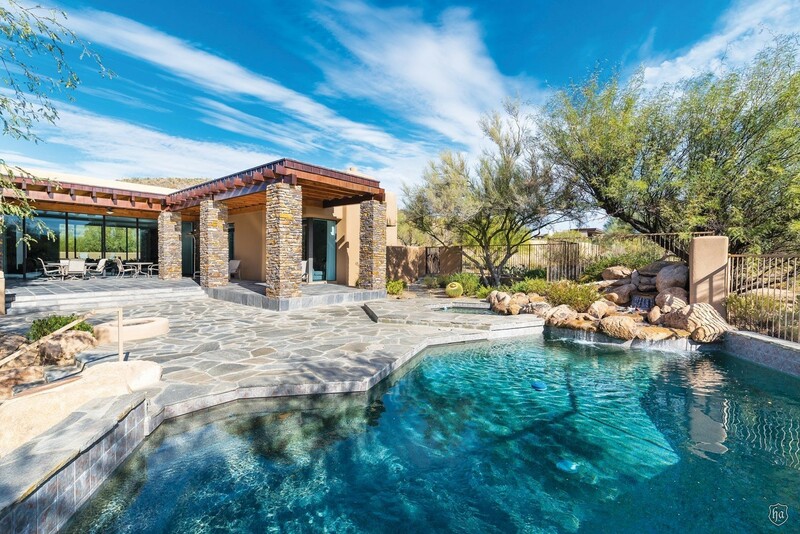 Head out front for unparalleled vistas of quintessential Arizona sunsets and a water fountain; look out over the waterfall, pool and spa from the rear patio; or take to the upstairs terrace and judge golfing swings on the 15th tee. To inquire about seeing this unique custom home which is a rare combination of elegance and practicality in one of America’s premier golf communities, call 602.726.3116 or e-mail dlb9471@gmail.com.